When Christopher Columbus landed in the New World in 1492, he found a continent without horses. After returning to Spain, upon his return to the Americas, he brought back mares and stallions from Andalusia and Cordelia. These horses were a mixture of Andalusian, Barb, and the now-extinct Spanish Jennet. The resulting offspring of this mixture was a horse with a very smooth and comfortable gait suitable for the varied terrains of the New World. Because of a trait contributed by the Jennet, of passing the most desirable characteristics along to its offspring, the horse quickly became favored by the Conquistadors. This was the founding stock of the Paso Fino breed. The breed established a place in the history of Western Civilization, being cited as instrumental in the conquest, exploration, and development of the Americas. Over the 500 years since the introduction of the founding stock in the Western Hemisphere, the Paso Fino has been selectively bred and refined. And although they can be found elsewhere Peru, in South America, claims the most famous and purest bloodlines of this breed. Classic Fino - Used for show purposes only, this is the same forward speed as a slow walk. The horse is collected and balanced. Watching the leg motion is fascinating. Paso Corto - this is similar in speed to a trot. 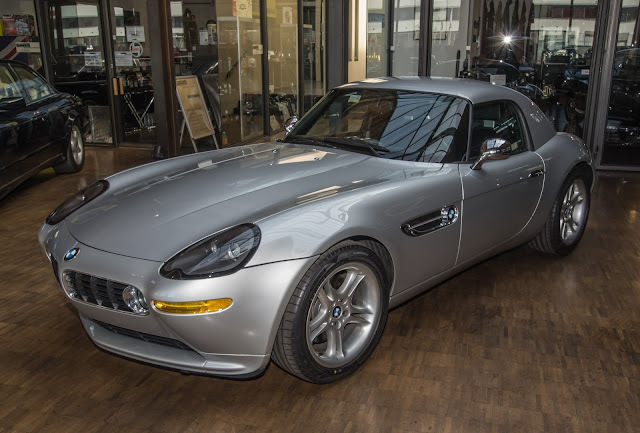 It's a moderate speed, yet allows one to cover a good distance in a leisurely fashion. Because of the smoothness of the stride, both horse and riders can go for hours tirelessly. Paso Largo - this is a faster speed with a longer stride. The actual speed is different for each horse because it will reach its top speed in natural coordination with its tempo and stride. The Paso Fino's colors run the gamut of the equine color range. There is no one defining color assigned to this breed as being necessary for it being registered as a purebred horse and they can be with, or without, white markings. This breed ranges in height from 13 to 15.2 hands (52 to 60.8 in,. or 132 to 154 cm. ), with the most typical being 13.3 to 14.2 hands (53.2 to 56.8 in., or 135 to 144.2 cm. ), which is considered small to average height for a horse. The weight ranges from 700 to 1100 pounds (49.7 to 78.1 stones). The full size of the Paso Fino may not be reached until it is five years of age. The Paso Fino is often described as being of noble appearance. The immediate impression that one has is that of power, grace, and overall athletic balance in this horse. Its mane and tail are luxurious and flowing. The neck is sinuous, arched, and muscular. The shoulders are well-defined, but not prominent. The back is short and connects with slightly sloped hindquarters. The legs appear short, but powerful. The breed is naturally sure-footed with extremely durable hooves. Unless the horse is habitually used on a rock or hard surfaces, it is rarely shod. This beautiful breed of horse possesses a natural affection, is very intelligent, and is built for hard work. It performs well in gaited events, for showing, trail riding, and for pleasure riding. It is thought, by some, that the foundation American Quarter Horse stock has at its roots Arabian, Turk, and Barb breeds. Others believe that the breed began with the acquisition of Chickasaw horses which were likely of Spanish extraction. Their history seems to begin around 1690, when horses exported from England were bred with native horses in America. The result of this cross was a small, stocky horse which was extremely fast in the quarter-mile sprint which the colonists loved to participate in during their off-time. Even when pitted against Thoroughbreds, this little horse came in first more often than not. Thus, the horse became known as the Quarter Horse. In the 1800s, when the pioneers began to move west, they wanted a horse that could endure the rigors and was always willing to work. Their horse of choice was the Quarter Horse. They quickly found that the breed was excellent to use when working with cattle. Cattlemen soon preferred this animal because it seemed to know ahead of time what the cattle would do, and naturally moved to direct the herd where the cowboys wanted them to go. Even after the automobile was invented, Quarter Horses were still used almost exclusively on many ranches. In 1940, the American Quarter Horse Association (AQHA) was formed. From that year until the present, Quarter Horse breeders have worked diligently to perfect the bloodlines. The Association has set forth strict guidelines with regard to registration of American Quarter Horses. AQHs are allowed to have limited white markings on their faces and below their knees. If there are white patches or spots anywhere else on the horse, it is considered to not be a true Quarter Horse. The AQHA recognizes 13 colors as acceptable for the breed. The most dominant color is sorrel, which is a reddish-brown. The other colors are bay, black, brown, buckskin, dun, gray, grullo, palomino, red roan, and blue roan. What is called a gray is what most of us perceive as white. But, there are no "white" Quarter Horses. There are two main body types which are acceptable for registration as Quarter Horses. The "stock" type, which is shorter, more compact, stockier, and well-muscled, yet agile. The "running" type is lighter and is bred and trained for sprinting. Because this breed is very versatile, bloodlines are built with specific tasks in mind when producing the offspring. For AQH's shown "at halter", the line is bred to have a heavier body appearance, because these horses are incredibly muscled. For horses used as "reiners" and "cutters", the build is usually smaller and the horses possess cat-like quicker movement and powerful hindquarters. Those bred for Western pleasure riding have a level "topline" and smoother gaits. Those which will be used for racing have longer legs and a leaner body build and those bred as show hunters have a similar build to the runners, but their bloodlines will include traits which are suited to horses used for hunting purposes. 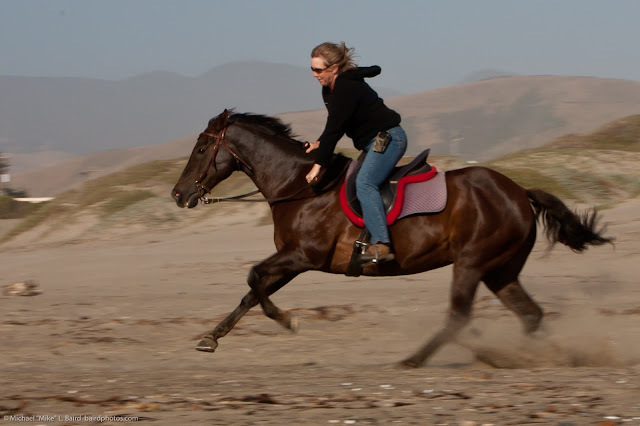 The whole Quarter Horse breed possesses speed, stamina, power, and an inherent willingness to please. This horse is usually 14 to 16 hands (56 to 64 inches, or 142.24 to 162.56 centimeters) at the shoulder. The weight can vary drastically, depending on the purpose for which the horse was bred. The American Quarter Horse is the most popular breed in the United States. And there are approximately 3.7 million registered American Quarter Horses worldwide, making it one of the most populous breeds in modern history. Looking after horses requires significant costs and management that must be performed daily for both boards and keeping animals in a home environment. Horse boarding delivers a number of benefits to ensure that care is offered on an ongoing basis in a clean and functional stable. It is important to look into the facilities that are available and to ensure that the best possible selection is made for the best outcome. A board is an independent stable that has been created to provide horses with shelter and care through the day and night. The full board includes a stall for the animal where exercise will be provided for a number of hours during the day. Management must be contacted to determine the regularity of feeds and the supplements that will be made available for the specific health needs of equines. The animals can remain within a rough board that will include a large field where horses are able to roam through the day. Horses can be placed in a secure pasture where there is access to protection and shelter from the harsh sunlight, rain, and wind through the different seasons of the year. Equines must be provided with the necessary protection and care that will provide comfort and prevent against harmful results. The staff will discuss options for food including possible health requirements that will need to be met for specific equine needs. It is important to determine whether staff will be available on a regular basis to ensure that the health needs of animals are assessed and possible problems detected. Where an emergency should occur, it requires that individuals are equipped to alert one of such circumstances. The benefits of a board include professional monitoring and shelter provided for horses on a 24-hour basis. The staff members will be able to feed equines a balanced diet including a mixture of grains and supplements to support healthy function and growth. If special diets are required, it must be discussed with the barn owner to ensure that your horse is receiving the nutrition that it needs. The correct levels of supervision can be provided for horses that will prevent against improper care of equines. All equine owners are advised on the methods that should be put in place including consultation with a barn manager that will provide peace of mind that equines are properly taken care of. In the search for a suitable stable facility, all equine requirements can be tended to. In cases of emergency, it is important that the board make staff available to address the particular needs of equines. The performance of a vet assessment can aid in ensuring that the appropriate equine exam is completed and that a professional is able to tend to the animal when owners cannot make an appointment. It is important that such services are delivered on an ongoing basis for the wellness of equines. Having to clear stalls on a daily basis involves a significant amount of labour and is a time-consuming process. It is important that boards implement cleaning methods including water and feed daily. All equines can be well taken care of with a reputable and reliable boarding facility. Owning a horse is a huge responsibility. Just like owning any pet, you should put a great deal of thought and consideration before you decide to purchase an equine. Since most individuals will have to house horses off their property, you should first consider finding a suitable stable before you purchase a horse. Also, consider your wants and needs. If you or your stable has limited space, you might not want to consider a sizable draft horse like a Clydesdale. However, if you are in need of a large horse to do a great deal of work pulling wagons, you should consider breeds other than Shetlands. There are a great number of breeds, each with a different pro and con. After carefully reviewing each breed, you are sure to find the exact type of horse to fit your needs and your lifestyle. Ask yourself what you are looking for in a horse. Do you want a horse that you can show? Do you want a horse for work purposes? Do you want a horse to jump or ride competitively? Do you want a horse to race? Do you want a horse to ride on trails or one that is compatible with children? After you determine why you want a horse (and the answer should be better than "just because"), you can set out determining what breed is best for you. Keep in mind, even though the breed might fit everything you want, each horse will have a different personality. Before you run out and buy the first horse in your desired breed, take a careful look at the specific horse in question. If you are interested in showing a horse for its beauty and grace, an Arabian horse is probably your best bet. These beautiful creatures are well-liked on the show circuit and enjoy being fussed and fawned over. For those daring riders who want a horse for jump training, the strong-legged Thoroughbred may be the perfect fit. These gentle giants are rugged enough to withstand the abuse of jumping but are agile enough to soar over the highest gates. If you would rather have a rough-and-tumble horse perfect for uneven trail rides, the American Quarter Horse should be your top pick. These famous horses are often used in competitive Western riding events, including the heart-pumping barrel racing. American Quarter Horses are perfect for the intense training required for competitive racing, but also have the sure-footed step necessary for making the quick turns and negotiating rocky terrain. A Tennessee Walking Horse or Mountain Horse is the perfect fit for the horse owners who want to go on quiet rides. The gentle gait of these beautiful creatures gives these horses the best ride over even terrain. Finally, if you are looking a horse for a child, consider a smaller breed like the Icelandic. The shorter stature better fits the proportion of a child, and their smooth gait and easy-going attitude will prevent much bumping and jostling. Whatever your choice of breed, carefully consider its pros and cons. Even though you may have your heart set on one specific breed, if it will not meet your needs, you should carefully rethink your choice. A horse is a huge responsibility and you cannot simply return the magnificent creature because you did not seriously research all your options and hastily chose a horse that will not fit into your lifestyle. © Copyright 2005 by Lynn Walls. All rights reserved. Whether you own one horse or several, a horse trailer will provide a convenient way to travel with your horses to shows, rodeos, camping sites, horse trails, or wherever you need to take your horses. Horse trailers are also useful in case of an emergency if you have to evacuate your horses or get them to a veterinarian in a hurry. But buying a horse trailer can be a little confusing because there are so many different types and styles available. Here are some things to look for when shopping for a horse trailer. Probably the most important features that will determine how well your horse travels are the features of the stalls. How many stalls are included? What size are the stalls (length, height, and width)? If your horse's ears are touching the ceiling of the trailer, it is probably too short. Also, be sure the horse will have room to turn around for exiting. Some horses can be very difficult when it comes to backing them out of a trailer stall. Be sure there's plenty of ventilation for each stall. Horse trailers usually have from two to nine stalls. It's a good idea to get a horse trailer with one extra stall than what you actually need. This will provide more room for your horses and also allows you to add another horse in the future. Horses are like people in some ways... they seem to have their own preferences when it comes to horse trailers. They especially have their own preferences when it comes to stepping up into a trailer and/or walking up a ramp into the trailer. This makes choosing a horse trailer difficult because you might not be sure which method of loading your horse would feel more comfortable with. Before you start shopping, find a couple of friends with horse trailers of different styles and ask if you can do a test load with your horse. You might be able to find out ahead of time what type of trailer will work best for your horse. Another thing to consider is if you will buy a slant load or straight load horse trailer. The slant load trailer has stalls that are slanted diagonally from right to left. The horses stand in a slanted position while riding. These are usually economical for carrying more than two horses. A straight load trailer enables you to load the horses straight into the trailer from the rear and the horses face forward while riding. With both styles, choose a horse trailer that is the correct size, has proper ventilation, and provides the features you need. Consider whether you want a bumper pull or gooseneck trailer. The bumper pull trailer attaches to a hitch near the rear bumper of your towing vehicle. The gooseneck extends over the bed of the hauling truck and attaches in the truck bed. The main difference is the gooseneck can provide extra room for dressing room or living quarters. There are other features to consider as well. The trailer might be made of steel or aluminum, or a blend of the two. It might have a tack room in the front of the stall area where you can store saddles, bridles, buckets, feed, and trunks. Some horse trailers come with dressing rooms fancied with a mirror, table, and an area to hang clothes. Some have roomy living quarters featuring a bedroom or two, dining room table, kitchenette, and bathroom. Living quarters are great for frequent campers! Before buying a horse trailer, consider what type of trailer you will be able to haul with your current truck or vehicle. Some vehicles haul better than others, and some can handle heavier trailers than others. Consider all these features when shopping for a trailer, and go online to compare horse trailers and brand names such as Sundowner horse trailers. You can search for trailers by brand name or by location and state. For example, if you live in Tennessee, you might search for "horse trailers in Tennessee" or "Sundowner of Tennessee." You can also find used horse trailers for sale if you're on a tight budget. Use these tips to find a horse trailer that you and your horses will enjoy for years to come. Horses have played a vital role in the history of mankind. They have served several purposes from transportation to heavy cavalry. Nowadays due to the development of technology horses are no longer used anymore. They can be mostly found working for humans in ranches, farms, circuses and driving carriages for amusement rides. Although horses are not as vital as they were back in the days the tradition of riding them did not falter. Equestrians were regarded as nobles in Rome who are members of the cavalry. Nowadays they are riders who participate in a number of equestrian sports. Equestrians in this day and age are more known for equestrianism. It refers to the ability to ride and drive horses. This definition does not just include the use of horses for recreational activities and sports but also for working and practical uses. Contrary what most people would think the term refers to other skills not just riding them for equestrian sports. Horses were used for a variety of purposes. They were both used in war and peaceful pursuits. They were used for transportation, agriculture, and warfare. In Rome, Equestrians were regarded as elite. Horses were expensive at that time so owning one meant that you were rich and does not need to do manual labor. They were members of a social upper class in Rome. This class was most often referred to as knights. They were both a military and a political group because horsemen received financial compensation from the government. As Rome expanded it relied on its allies for cavalry. There was no use from equestrians and they lost their military functions. They did not engage in war anymore but their titles still remain and indicate nobility. The equestrians were rich and governed the provinces. At that time senators were equal to equestrians. The senators dominated the magistrate offices but were forbidden to operate a business and gain commercial income. The equestrians, on the other hand, continued to invest in marketing and tax farming companies. Conflicts arose between the two of them. Equestrians made as much money as they can while senators notice rebellions due to overtaxing. During civil wars, the two elite collaborated and their orders were defined as reforms were done. There are popularly known for participating in equestrian sports during Olympics. Like before horseback riding is reserved for the rich. Even today horses are still expensive and prized. Equestrian events include dressage, show jumping and eventing. Equestrians should be able to make the horse carry out natural movements on request while running loose during competitive dressage. It is also referred to as "Horse Ballet". Its goal is to develop a horses' athletic ability and its initiative to perform to maximize its potential. Show jumping is a timed event where equestrians are required to jump over a series of obstacles with the fewest mistakes. Riders and their horses should be able to go through the obstacle with the least knocked over portions of obstacles. Eventing is the combination of dressage and shows jumping. The horse and the rider have to go through a series of fixed obstacles such as stone walls, water, logs banks, ditches with the fastest time possible. Although the role of equestrians has changed through the centuries it still holds that aura of nobility that it once enjoyed in medieval times. Yes, horses have a language of their own, and unfortunately many of us are not as aware of it as we should be. It's a big mistake to not to know their language, as it could mean problems for us in the long run. Every swivel of the ear(s), hip movement, tail flick and facial expression means something. This is the language horses use to speak to other horses and to us - if only we would listen. We need to know what OUR body language says to them first before we can understand them. Flapping arms while trying to get the halter on will cause concern. Running at them in a pasture rather than walking up to them calmly can make them think - predator chasing me. We've all heard about bombproof horses - sorry, there isn't any such thing. Something, some time will spook your horse - any horse. In the meantime, keep your body language quiet, slow, easy and calm. If you are calm, this helps your horse remain calm. Horses speak to us with all body parts and that includes the front and back end. Both ends can cause us untold grief if we do not pay attention to what they are saying. For instance, most of us know that when a horse has both ears pinned back flat something is really wrong. Chances are they are either frightened or angry. In most cases it is anger. So watch the front and rear very carefully. Caution is best even if you think the horse may be listening to something behind them or bored. Once you really know your horse well, you will know what the ears are saying. Ears perked up and forward mean they are focusing their attention on something and are either up to some mischief or they are on high alert about something they see, hear or smell. Remind your horse you need his attention, especially if you are riding and the ears whip forward. Brushing and caring for your horse is THE major bonding experience between humans and equines. Don't ever underestimate how powerfully you are communicating to your horse about YOU when you brush him. The Arabian horse is an animal which has lived on the Arabian Peninsula for well over 2000 years. These horses were properly bred to demonstrate many traits which were attractive, such as strength, beauty, and endurance. Many experts on horses have concluded that Arabian horses are among the oldest breeds in the world. The Bedouins were a nomadic people who are given credit for first taming the Arabian horse. The Bedouins made every effort to protect the purity of these horses, and many could trace back the lineage of the horses they owned. During this time, it was critical to have a horse which was strong, fast, and courageous. It also had to be capable of surviving in the desert environment. The Bedouin tribes were constantly at war with other tribes in the region, and it was necessary to have a horse which could lead them into battle. The Bedouins soon gained a reputation for breeding some of the most beautiful horses ever seen. Many people would trade horses with them, and they would get together and share the lineages of the horses which were traded. There are a number of different variations of Arabian horses, which are known as strains. 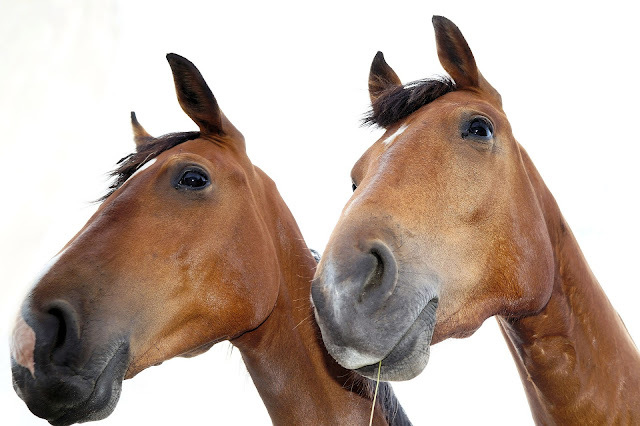 These horses have a common ancestor and look. Some of these are Hadban, Kuhaylan, and Dahman. The Arabian horse of one of the most well known breeds in the world. Their heads are shaped like wedges, and they have large eyes and a small muzzle. Arabian horses which have a concave shaped nose are highly prized. The neck of an Arabian horse should be arched, and their legs should be muscular and lean. Their coat should be shiny, and can be likened to silk. Despite this, Arabian horses are often not seen at the highest levels of show jumping competitions, because it does not have a good bascule compared to other breeds. Most Arabian horses have a coat which is grey or brown, and some horses also have black coats. Arabian horses with black coats were rare, because in the desert they would absorb heat, and this would be dangerous. Because the Arabian horse is so genetically pure, it is commonly used in enhancing the characteristics of other breeds of horses. Arabian horses have a good temperament, and this also makes them attractive to breeders. Arabian horses have been used in professional horse competitions for a long time, and Arabian horse games are being held every year in which the horses and their owners can compete with each other. Horses are amazingly beautiful and sensitive creatures. Horses require not only understanding and patience to have a horse as a pet, it also requires a whole lot of care. Horse looking out of stable window. Picture was taken in farm, probably a race horse. Observe horses in the herd system, each horse's welfare in the wild depends upon an instinctive submission to the discipline of the herd. The instinct is for immediate action. To the horse, action is survival. When horses live in an herd environment, they often take turns sleeping and standing guard for any predators. When the leader of the herd signals danger they take flight. Learning respect and ascending to authority starts on the first day of life for the foals, there is a distinct pecking order in herds of horses. It is important to keep a quiet profile around horses. Horses naturally do not like unnecessary noise because in the wild their survival depends on detection of predators with their hearing. Extraneous noise interferes with this predator detection. This predator detection is tightly coupled with a horse's flight reflex. Due to these survival genetics, horses have a physiological wiring in their brains that predisposes them to prefer quietness and to become bothered by unnecessary noise. Many horses can get startled easily from abrupt noises and this could result in injury to the horse, the rider, or people around the horse. Talk to your horse in a quiet, reassuring voice. A horse will love you if, first and foremost, you treat it fairly, and secondly, if you allow yourself to develop a relationship with it in the same way you would a human partner. There are too many who will look after the horse's material needs but put nothing back into the partnership itself. The horse born in captivity will identify with an alternative provider and companion, resulting in a healthy relationship from the beginning. A healthy relationship with your horse requires: trust, coupled with respect, fondness with compliance, and a desire to please. 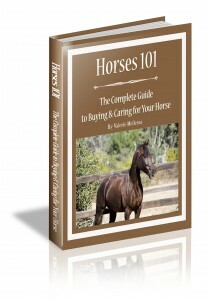 Examine your horse every day and especially prior to riding the horse. Carefully examine the horse's legs and back for any unusual heat or lumps. Make sure that the horse's eyes are alert and not glazy. Listen for any excessive noise or gurgling sounds coming from your horse's stomach. Catching problems before they become serious is critical to keeping a show horse sound and alive. Exercise caution and discretion when around stallions and mares when they are in heat. They are dealing with hormones on an order of magnitude that you probably can not comprehend. Stallions typically bite and some may be easily triggered into violent behavior. Keep your horse clean. Keep your horse's entire coat free from dirt, mud, sand, and sweat. Brush your horse every day. Pick out your horse's feet every day. Wash out any sweat residue from the saddle pad or girth every day. Wash out any dirt or sand residue, as from the riding arena, on your horses legs every day. A number of different problems can result if a horse's coat is not kept clean. Keep your horse's stall clean. Make sure that your horse's stall is cleaned every day. Be sure that any wetness is removed with the manure. Replace the removed bedding with fresh, clean, dry bedding. Water should be dumped from buckets every day without exception. Unhealthy dirt and bacteria can build up in a bucket if it is not cleaned on a daily basis. Clean water is essential to maintaining a healthy horse. Make sure your horse always has clean, fresh water available. The intelligence of the horse increases rapidly with education. An intelligent trainer can make an intelligent horse. A kind but firm trainer will result in a disciplined but pleasing horse. Feed your horse(s) at the same times every day. A horse may get upset and colic or injure themselves by kicking the stall or pawing, if not fed when feeding is expected. You should not make radical changes in a horse's feed program. If you must make a change in the feed program, make the change gradually. Drastic changes in a horse's feed program can cause the horse to colic and in some cases, may die. Your horse's stomach is a highly sensitive bio-reactor that maintains a delicate balance of the organisms that digest food in your horse's digestive track. Visitors should not feed a horse that you do not own without the owner's permission; no carrots, no apples, no treats, nothing. The horse could potentially, get sick if they have an allergy or sickness. Pay attention to everything that goes into your horse; that means all feed, all hay, all water, all treats, all supplements, all pills, and all shots. This knowledge could save your horse's life in an emergency situation. Post this information on your horse's stall door so that it is available to a vet if you are not around in an emergency. Make sure that your horse gets high-quality feed and hay. Your horse's health and soundness depends on the nutrition that you provide for them. Take good care of your horse. A rider without a horse is no rider at all. Make sure that you have a good equine veterinarian. A good vet will save you money in the long run and may save your horse's life some day. An ounce of prevention is worth a pound of cure. Make sure your horse has all the vaccinations that are normal for your geographical location. All horses should be on a good worming program to control intestinal parasites. A horse should be wormed by a vet at least twice a year. In the summer spray your horse trailer down with fly spray about 10 minutes before you load the horses. The flies should leave, and your horses will be without those pesky flies! Never spray a hot, sweaty horse with cold water immediately after working the horse. This can cause muscle spasms and binding, or shock that can lead to death. Wait until the horse is breathing regularly, and use warm water if it is available. If a horse has heat shock, consult your vet and the vet may instruct you to cold hose the horse, even if still hot and sweaty. Never put a horse in a stall or confined area while sweaty or while they are still breathing heavily. This can result in shock and/or colic that can lead to death. Walk the horse until the horse is cooled out and the breathing is normal. Horses' hooves generally grow approximately 1 cm in a month, and take nearly a year to grow from the coronet band to the ground. Horse's hooves need to be trimmed regularly (about every 6-8 weeks). Shoeing a horse does not hurt them. If you were to grow out your finger nail, you could put an earring/pin through it without causing discomfort; however, if you pushed the pin through the part of your nail that is attached to the soft tissue of your finger, it would hurt. When horse shoes are nailed in, they are nailed at an angle so which the horse doesn't feel it. Make sure that you have a good farrier, especially if you show your horse over jumps. The concussion from landing from jumps amplifies any problems in a horse's shoeing. If a horse gets sore feet or legs from bad angles or bad shoeing, the horse can not just take his shoes off, sit back on a couch, and rub their feet, or find another pair of shoes like you can. Bad shoeing can result in your horse becoming lame due to a number of problems including: bowed tendons, popped splints, or shoulder/back soreness or spasms. Bad shoeing can ruin a good horse, so don't be penny-wise and pound-foolish where shoeing is concerned. A laid-up horse is far more expensive to maintain than a good farrier. And remember not all horses need to have shoes, only if they are competing, walking on hard/rocky surfaces, or have hoof problems. Horses do lay down to sleep, but only if they feel completely comfortable in their environment. It is not enough to provide a dry stable, food and water. Horses will often sleep standing up by locking their knees. Horses are one of the few animals that can put one half of their body asleep while the other half is wide awake. Emotionally and mentally, all horses need to feel they have and be comfortable in their own space! To fully enjoy a horse's finer qualities you must treat them with both kindness and quality care. In the end, a happy horse will mean a nicer ride and a happier rider. In the crazy world of horse racing the one thing we had yet to see going into the 1978 horse racing year was back to back triple crown winners. That was about to all change because of a horse by the name of Affirmed. Not only had there never been back to back triple crown winners but no horse ever had to beat the same rival in all three legs of the triple crown. So 1978 was indeed special all the way around. Because during this amazing year Affirmed and Alydar gave racing fans all over the world the thrill of a lifetime. By the time the last leg of the triple crown at Belmont was run, Affirmed was a triple crown winner but it was Alydar that got everyone's sympathy and was the hero of the year. The truth is, the Affirmed - Alydar rivalry started long before they ever got to the Kentucky Derby, the first leg of the crown. On June 15, 1977, was when it all started at Belmont Park. The two horses were running in the Youthful Stakes. It was Alydar's first race and Affirmed's second. Affirmed won the race while Alydar finished a disappointing fourth. In was the only time in ten meetings between these two horses that they both didn't finish first or second. 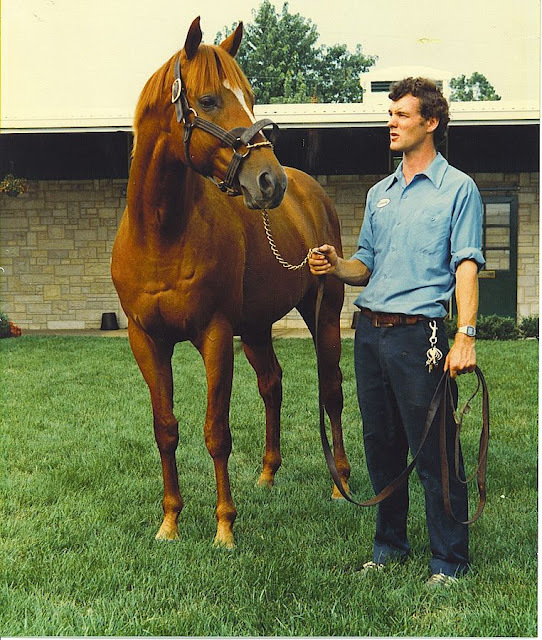 Affirmed came into the world on February 21, 1975. He was born at Harbor View Farm in Florida. The owner, Louis Wolfson, had sent other horses out to race in his career but never with the success that was about to come with Affirmed. Affirmed made his maiden race on May 24, 1977, at Belmont Park. He won the race by an easy 4 and 1/2 lengths. Three weeks later was when he won the Youthful with Alydar coming in fourth. But after that race, Affirmed and Alydar ran every race almost neck and neck in one of the greatest rivalries of all time. On July 6 at the Great American Stakes, Alydar finally got the better of Affirmed and beat him winning by 3 and 1/2 lengths. This didn't discourage trainer Lazaro Barrera who then immediately shipped Affirmed out to Hollywood Park where he won the Hollywood Juvenile Championship on July 23. This was the first of four straight victories for Affirmed. There were other races afterwards, with Affirmed and Alydar trading victories. This set up the first leg of the triple crown, the Kentucky Derby. Ironically, this turned out to be the least exciting race of the three with Affirmed taking a commanding lead. At the end, Alydar could only close the gap to 1 1/2 lengths though he gave it a valiant effort. It was a different story two weeks later at the Preakness where the two horses were engaged in an epic duel. Affirmed again took an early lead but this time Alydar made it a race with Affirmed winning only by a neck. But as good as the Preakness was, the Belmont Stakes will go down in history as being one of the most exciting races in history. For almost the entire race in a five horse field, Affirmed and Alydar were running neck and neck. It was like out of a movie. Finally though it was Affirmed who won the race by a head. This was indeed one of the greatest horse rivalries in racing history, one which may never be duplicated. The world of horse wormers is a really confusing one. Not only do you have to work out what you’re worming for and when you need to do it, there are so many horse wormers on the market that it can be hard to see the wood for the trees. There are lots of different horse wormers on the market and these help to control internal parasites. There are a number of different worms that can cause problems for horses; the most popular ones are: Redworms (Small and Large), Large Roundworms, Bots, Tapeworms and Pinworms. All worms have cycles and that’s why many horse wormer manufacturers not only advise on the worming interval, they also advise on what product needs to be administered when to treat which worms. During the winter, horses are treated for Encysted Small Redworm Larvae and Bots, in the spring and autumn they are treated for Tapeworm and in the summer grazing season they are treated for Roundworm and Large and Small Redworm. How do you know which horse wormers to use? All horse wormers will have active ingredients that treat a problem. It is important to ensure that your horse is being treated with different active ingredients (at the correct times of the year) or else you could be worming with different products but be treating the horse for the same internal parasite. However, manufacturers usually produce a range of products that cover the horse for the full year, one example is Fort Dodge who have Equest and Equest Pramox. These products both have a 13 week dosing intervals and, together, contain the active ingredients required to treat a range of internal parasites. The best person to advise on what you need to worm your horse with and when is a Vet, an SQP (suitably qualified person) or a worming products manufacturer. Generally horse wormers come as tubes of paste, as granules or as liquids; but paste is the most common. To administer the horse wormer weigh the horse using a weight tape and then set the syringe accordingly using the graduation to the weight required. Next tie the horse up and make sure his mouth is empty of food. Insert the syringe into the corner of the horse’s mouth and, when it is in the correct position; simply push gently on the plunger. After the allotted amount of horse wormer has been put into the horse’s mouth, remove the syringe and gently lift the horse’s head in the air until he or she has swallowed the product. Granules and liquids are easier to administer as these can usually be placed in the horse’s food. Some horses will be able to recognise a different taste in their food and, in these cases, ingredients such as molasses may need to be used to disguise the product. Follow the manufacturer’s instructions. Before worming any horse it is important to carefully read the packaging and, if you are in any doubt about your horse’s health always contact your vet. Worming a horse who is ill can cause problems so veterinary guidance is essential. Similarly, if you have any queries or questions about the horse wormer you are using (such as, can I worm my young horse? Can I use it to worm my pregnant mare? Etc) it is essential that you contact a Vet, SQP or the product’s manufacturer for advice. It's winter time, the breed inspection season has come and gone in North America, and along with it branding season. Branding season for horses--NOT for horse BUSINESSES. If you have any business or marketing background, or have done any reading on the subject, you have heard of branding in the business context. Let's take a look at what that actually is. Brands on horses and other livestock in the Old West showed ownership. There was some level of claiming recognition for owning a quality animal, but primarily the point was to keep livestock from being stolen. Branding helped to legally retrieve stolen livestock. In Europe, brands on horses were not an indication of personal ownership, but rather indicated the horses' affiliations with one of the regional registries. That idea, which is behind modern-day branding of horses in European-affiliated breeds and some of the other breeds in North America is closer to the concept of business branding. In fact, it IS business branding for the individual horse breed. So What is Branding Exactly? It isn't a string of freeze-branded symbols or a set of moose antlers or other breed symbol. Those are likened to a business logo or trademark, but those things aren't brands in the business sense, either. A brand on a horse signifies everything the breed represents: the quality, history, performance record, origin, and so on. A horse that carries a breed's brand mark ostensibly possesses all of the attributes of the breed, and is theoretically capable of performing to the standard established by that breed association. For example, when you see a horse with a Holsteiner brand (assuming you have familiarity with the mark), you recognize the horse as a Holsteiner. You immediately know a little bit about the horse's lineage, background, and the kinds of activities it might be good at. That is why some registries require a physical inspection and approval of the individual horse before giving it a brand--the branded horse is a representative of the breed's identity, a walking advertisement. It makes sense for the breed organization to want to control the quality of those advertisements. Likewise, a brand is the embodiment of all the information connected with a product or service. A brand typically includes a name, logo, and other visual elements and encompasses the set of expectations associated with a product or service which typicaly arise in the minds of people. (reference: wikipedia.org). Logos and such--like brand marks--are a shorthand symbol for the brand. Those marks are meaningless until the brand is built. As Chevy Chase's character, Ty Webb, says in Caddyshack, "Be the ball." Live the brand. Branding is everything you and your business represents. You establish a brand through the quality of your horses, your competitive record, the standard of service you provide to your clients, the manner of your business dealings, trust, your reputation. A brand is a business' identity. Consistency in all of these elements builds a brand. Paradoxically, I am on the fence about whether to brand horses or not. Maybe just the bunny-hugger in my personality coming out, but I think branding hurts the animal. For your horse business, definitely, branding shouldn't hurt. It might take a little mental stretching to grasp the concept, but the actual establishment and building of your brand need not be painful. But one thing is certain: There is no end to the branding season for businesses! This draft breed is rooted in Friesland, Northwestern Europe, which is now a part of the Netherlands. The original stock was descended from the order of Equus robustus (the big horse). In the 16th and 17th centuries, Andalusian lineage was introduced to the bloodline in the form of Spanish stallions which were abandoned on the battlefield during the war between the Spanish and the Dutch. This new blood endowed the Friesian line with higher knee action, smaller heads, and arching necks. The Friesian is one of the smaller draft horses, in stature and weight. In order for Friesians to be deemed purebred, and allowed to be used for breeding stock for a purebred line, they must be at least 14.3 hands (57.2 in., or 145.3 cm.) at the shoulder. And the subject must be solid black with no white markings on the legs or body. The typical height is 15.3 to 16.1 hands (155.4 to 163.6 cm., or 61.2 to 64.4 in.). The Friesian is heavily boned, and the adult averages about 1300 pounds (92.3 stones). This breed appears to be short and stocky. The thick manes and tails, and abundant fetlock hair are traditionally allowed to remain full and natural. The Friesian has a good temperament and is sensible but lively. The breed can be used for pulling, or for saddle riding. And while Friesians have the normal gaits - walk, trot, and canter - long tradition has emphasized the "big" trot which is typical of the breed. This small draft horse traces its roots to the Romanys, who had no need for the larger drafts. For almost 100 years the Romany people, or Gypsies, have bred the cob to pull their traditional carts and "mobile homes" throughout the country lanes of Ireland and England. And although many of the "Travelers" - as the ones who move about the country are called - have changed to more modern conveyances, there are still those who cling to the traditional mode of travel. Even though many people of the Romany heritage no longer travel, they continue to breed these colorful horses as a way of keeping tradition alive. As long ago the modern Gypsy's wealth is still, in a large part, measured by the size and quality of his horse herd. The Gypsy Cob has no one specific color. The most common are pinto patterned, piebald, and skewbald. They are small, in that they traditionally stand 13 to 15.2 hands (52 to 60.8 in., or 132 to 154 cm.) at the shoulder. They are compact, yet sturdy and durable. Their stamina allows them to pull a loaded "living wagon", at a steady trot, all day long. In order to be classified as a traditional Gypsy horse, they must have an abundance of hair and feathering. The feathering starts at the knee and grows all over the bottom half of the leg to the hoof. The Gypsy Cob has been bred for a particular type for years, but can trace their ancestral roots back to Clydesdales, Shires, Friesians, and Irish Drafts as well a Connemara, Dales, and Fell ponies. This horse is typically known to be very sound and sane, a faithful companion, and to possess incredible versatility. The American Paint Horse is a breed of horses which are known for having a percentage of white hair over skin combined with another color. This color pattern is one of the most important characteristics of this breed. The American Paint Horse Association is one of the largest breed register centers in the US. Every American Paint Horse has white hair combined with some other color found in horses. This includes brown, black, tan, or gray. American Paint horses are related to the American Quarter Horse, and share the same ancestors. The markings on these horses can be anywhere on its body. Like the Quarter Horse, American Paint Horses are known for their speed and athletic qualities. Strict requirements are necessary in order to register these horses. Both the sire and dam have to be registered in the APHA and the club for Thoroughbreds. At least one of the parents of the horse being registered must be an American Paint Horse. It is also important that the horse being registered have white fur over skin which is another color. These horses have an excellent temperament, and make great pets. The American Paint Horse should have a body shape which is the same as the American Quarter Horse. They should be heavy but not very tall, and their center of gravity should be low. They should also be very muscular with a powerful back legs. They should also be able to run extremely fast and maneuver quickly. The American Paint Horse is one of the most popular breeds of horses in the United States today. Despite this, these horses are susceptible to getting lethal white syndrome, a genetic disease. Some foals are born with a pure white color and do not have a functioning colon. As of this writing, no effective treatments have been found for this disease, and the foal usually dies within two weeks. The death is a very painful process, and they are typically put down once symptoms have been found. The coat color alone is not an indicator that a horse has this disease. This disease has become well known among American Paint Horse breeders, and many of them have encountered this disease first hand. While it was thought at one time that overos carried this disease, recent research has shown that not all overos carry this disorder, and tobianos and quarter horses may carry it also. Despite these conditions, American Paint Horses are highly prized. A horse is a horse of course of course. Right? Well, not exactly. There are more breeds of horses than Carter has liver pills. We're just going to touch on a few examples here, otherwise we're going to need a book about 2000 pages long. For example, and we'll just start with the letter A, there is the Australian Stock Horse. This is one of those horses that arose from selective breeding due to the demands of the environment. The history of this breed actually began in 1788. When the first breed of horses was brought to Eastern Australia by the First Fleet. These horses were of mixed English Thoroughbred and Spanish stock and they were hardy enough horses that they were a perfect choice for the cavalry. Moving along to the letter B, we have the Basotho Pony. This horse is found only in Lesotho, which is in South Africa. The horse is used almost exclusively for riding. The breed itself was developed sometime after 1825 from the Cape Horse. By the start of the 20th century this breed almost completely disappeared due to exporting of the horses and cross breeding with Arab and Thoroughbred horses. Fortunately, during the later part of the 20th century, a society was formed to revive the breed. One of the most famous breed of horses starting with the letter C is the Clydesdale. This horse was developed in a district of Scotland. It is a heavy draft horse breed. The breed itself was developed by farmers in Lanarkshire, which is the old name for Clydesdale. This horse was mainly bred to meet the agricultural needs of farmers. The Clydesdale is a real work horse. Make no mistake about that. The letter D gives us the Dartmoor Pony. This horse is one of nine breeds that are specific to the British Isles. This particular breed comes from a barren moorland called Dartmoor, which is located in Devon, England. These are very old horses which go all the way back to the reign of King Henry I. Today, Dartmoor Ponies are found all over Great Britain as well as countries like France, Sweden and Germany. Moving along to the letter E, we have the Eriskay Pony. This particular pony is the only surviving variety of the Hebridean pony. It is found on the Hebrides Islands off the coast of Scotland. Today this particular breed of pony is almost extinct. Recent DNA testing of these animals show that they are of very ancient origin. These horses are mostly used for transportation and common chores such as pulling carts and even taking children to school. And in case you are wondering, yes there are breeds of horses that begin with the letter Z. One of them is the Zaniskari Pony, which is found in Northern India. This particular breed is what is called a riding and pack breed. You'll have enough to read to keep you busy for many years to come.